Jessica Hopper, a staple in the contemporary music scene and cultural journalist based in Chicago, has firmly established herself as one of the leading names in criticism and a firebrand of the form. After 20 years in the industry, she has touched on just about every aspect – publicist, artist, critic, editor and author. 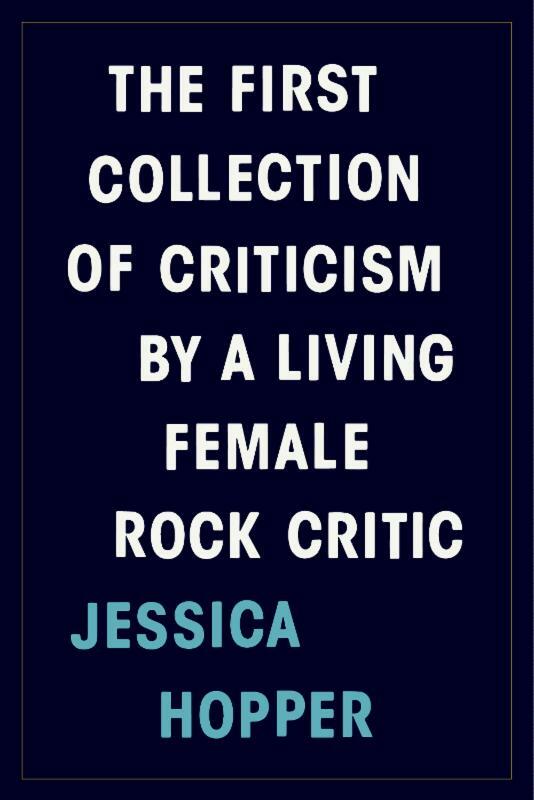 Her latest contribution is a collection of essays entitled The First Collection of Criticism by A Living Female Rock Critic, a bold and incredibly relevant statement in 2015. Spanning a few decades, Hopper’s work has been showcased through the most prestigious outlets in categories ranging from fashion, music and politics, ranging from her early days at Punk Planet to her landmark piece on R. Kelly in 2013 in the Village Voice . 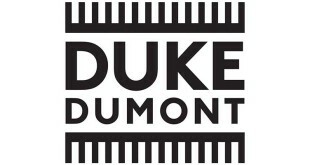 Currently acting as a senior editor at Pitchfork, Hopper has previous contributed to GQ, Rolling Stone, Rookie and the Chicago Tribune. 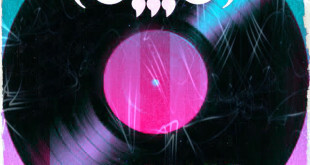 Her first book, The Girls Guide to Rocking, was recognized by the American Literary Association as one of 2009’s Notable Books for Young Readers. The First Collection presents the history of music through Hopper’s eyes and experiences, rediscovering her past reviews, essays, interviews and life journeys to show the beauty and wonder of the musically obsessed, as well as starting a conversation behind the politics of the industry. Readers will follow Hopper from her Riot Grrrl, punk days, through her time publishing influential print magazineHit It or Quit It and standout stories on female music luminaries such as Taylor Swift, Lady Gaga, Lana DelRey, Miley Cyrus St. Vincent, MIA and Cat Power, rap stalwarts Chance The Rapper, Kendrick Lamar, Chief Keef and grunge-era heroes Dinosaur Jr, Superchunk, Nirvana, and Pearl Jam, up to how music is used commercially today, engaging people to reexamine their own views on music throughout the decades. 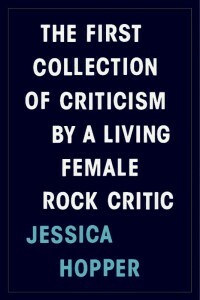 The First Collection of Criticism by A Living Female Rock Critic, available in fine book stores everywhere May 2015 via featherproof Books, will be followed by an extensive national tour–more info on dates to come.